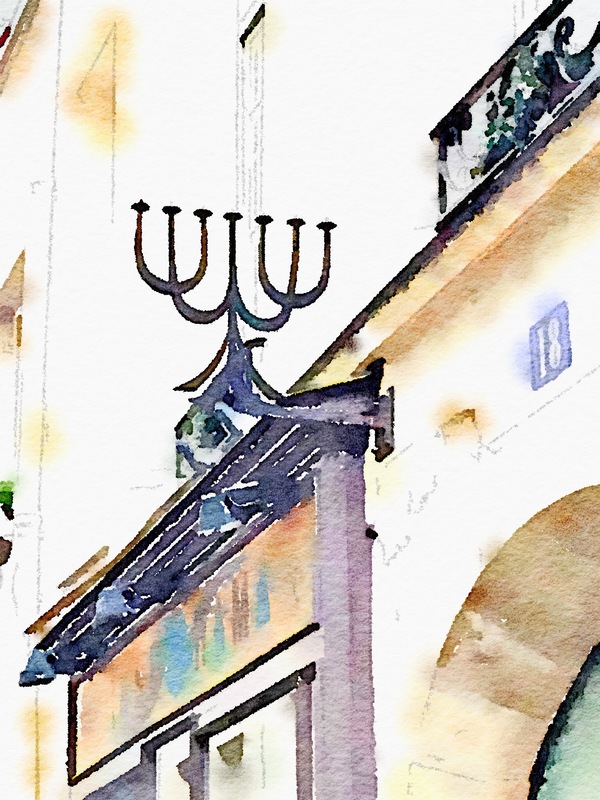 We wandered down small narrow streets that was the Jewish section before WW2. 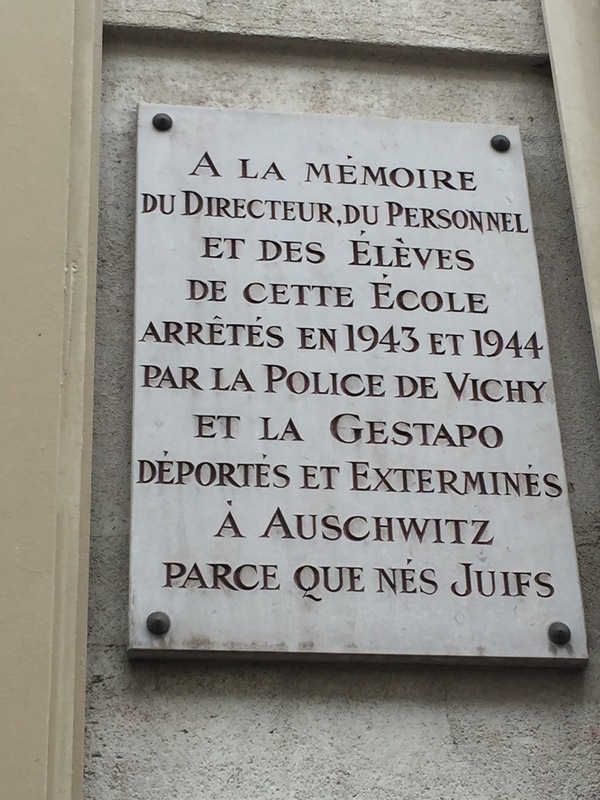 Paris has begun posting memorials to the 70000 French Jewish victims of the Nazis who were sent to death camps. 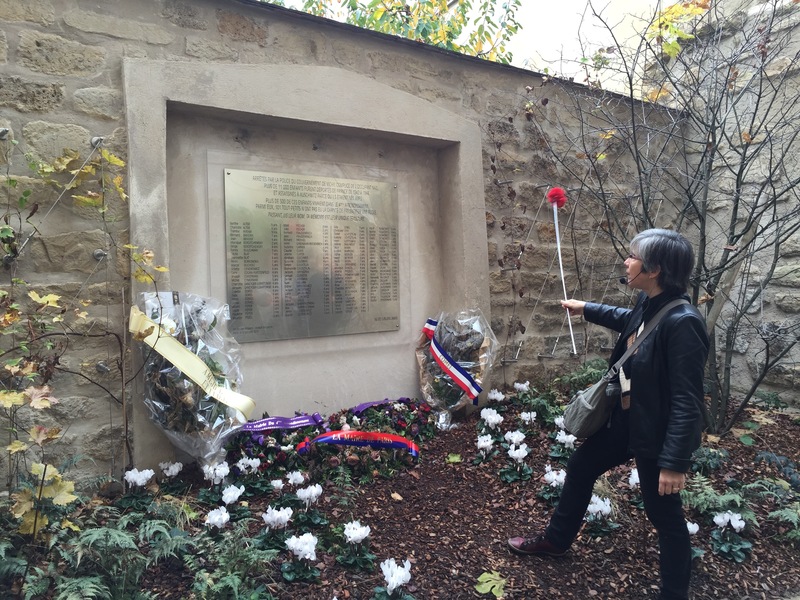 This commemorates some of the small children the enfants who were sent to the death camps. Some mere months old without their parents. A whole school was taken. The Nazis loved to go tot the schools and seize the students who were never to see their parents again. 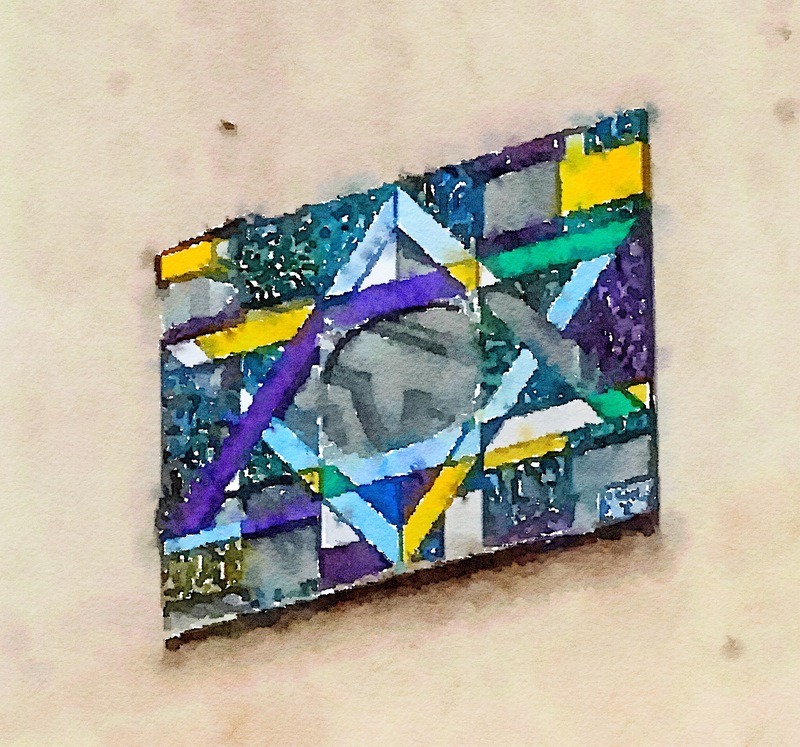 Synagogues are interspersed with shops like Kosher delis. Bytw don’t go on Saturday. They will be closed. 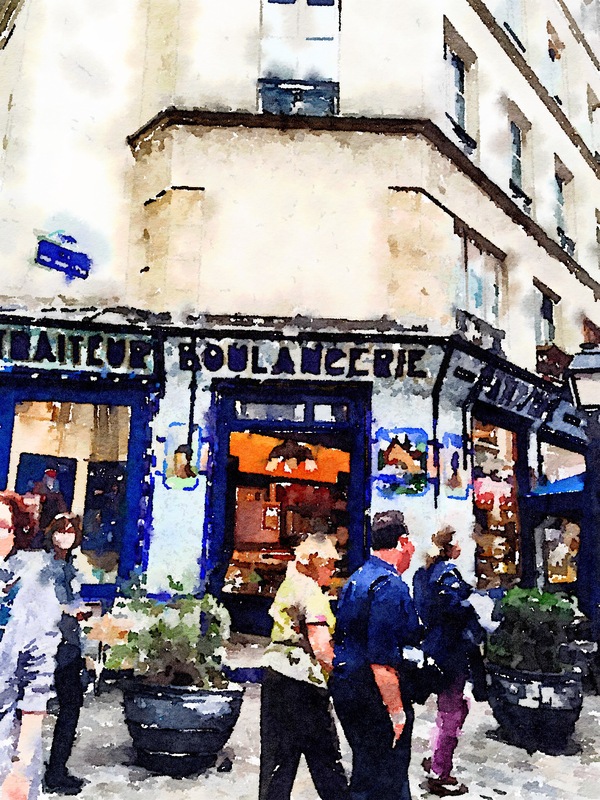 Remember most Parisians live over the shops. You can also get your hair done next to a falafel shop! Handy! Or head to the boulangeries for a tasty treat. Long narrow cobblestone streets are everywhere in the Marais interspersed between the grand boulevards like Rue Rivoli. All this is hidden behind grand buildings on Rue Rivoli. Day 517 Walk walk WaLk!! 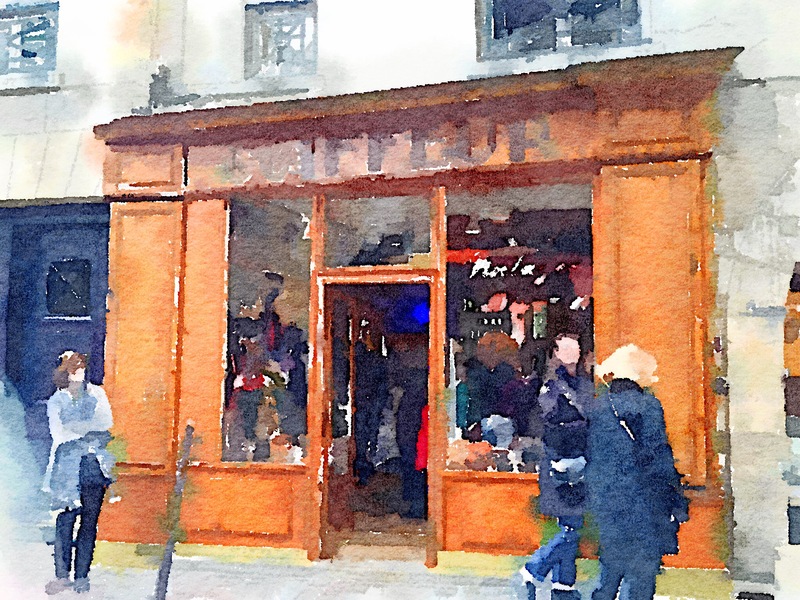 Still using Waterlogue I see… I love it too! Are these all the “Vibrant” setting or do you prefer something different? 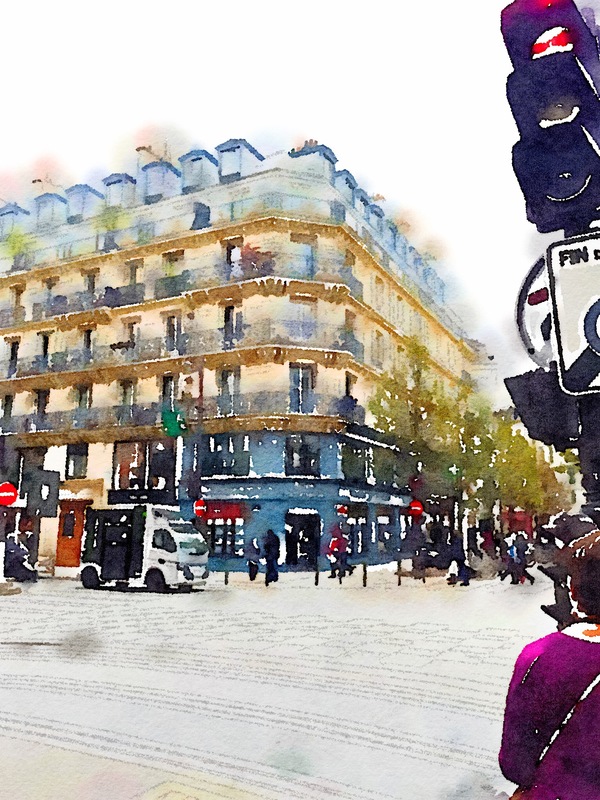 I take these are still done with the Waterlogue App. Do you prefer the “Vibrant” setting or one of the others? 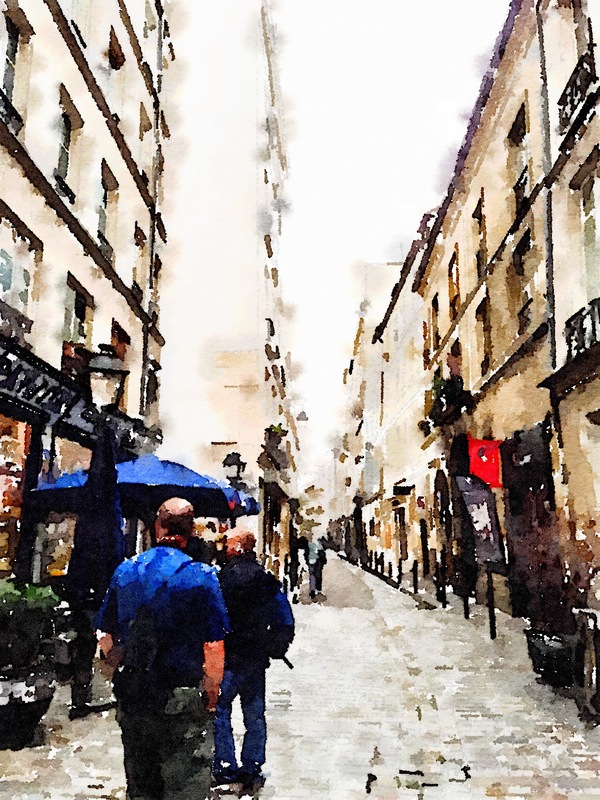 Don’t get me wrong… I love Waterlogue too, although I do miss seeing your work. Sure am. I use whatever works and play around with it. I also work on them in Photoshop usually to brighten them.